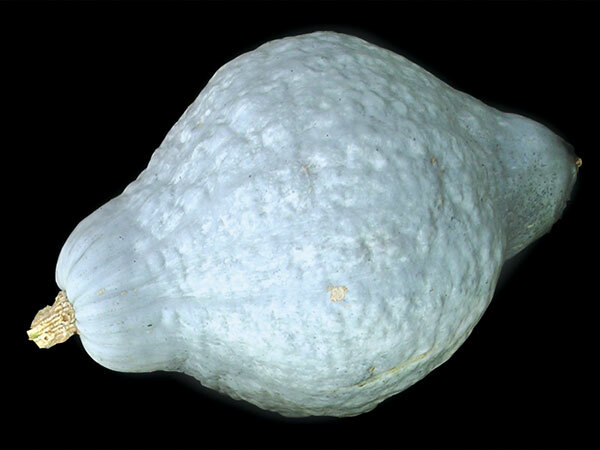 This fruit was carried from the West Indies to New England in 1798 by a sea captain whose name has since been lost. 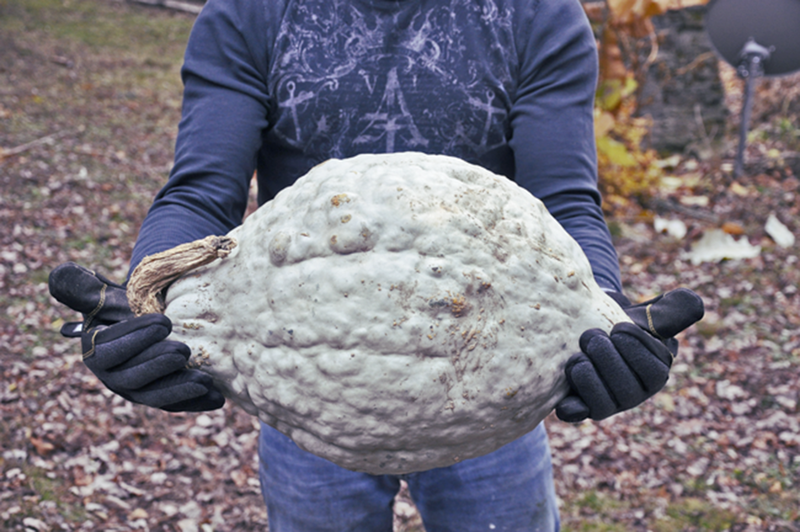 A few gardeners from Massachusetts grew it, saving the seeds from year to year. Around 1842, Mrs. Elizabeth Hubbard noticed its excellent eating qualities and handed it onto her neighbour who was a seedsman. 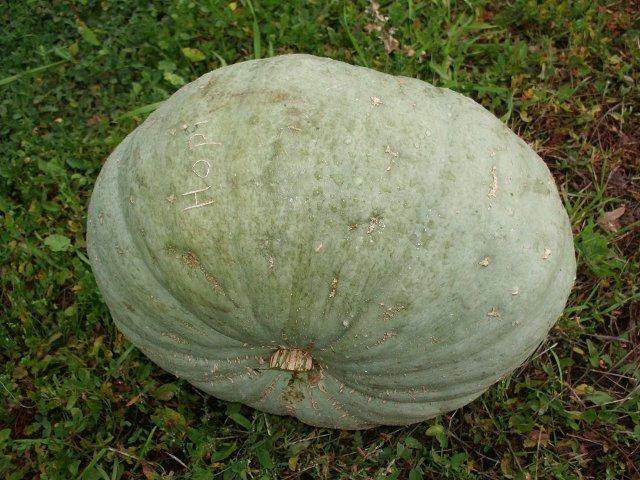 He named it after Mrs. Hubbard and multiplied the seed for sale. 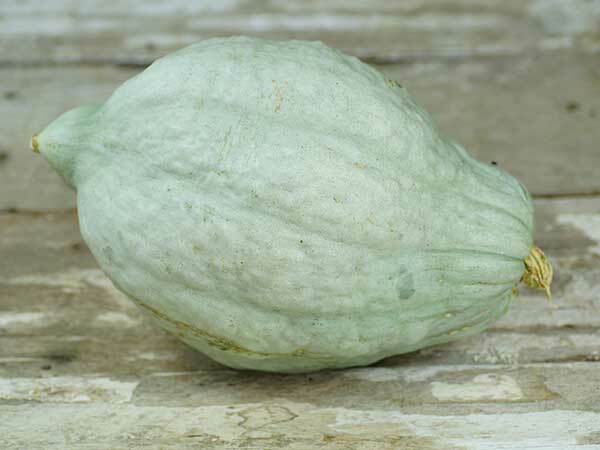 Developed from the original Hubbard squash, Blue Hubbard was introduced by the Gregory Seed Company in 1909. They called it first "Symmes Blue Hubbard", Symmes being the name of a gardener who worked for them. 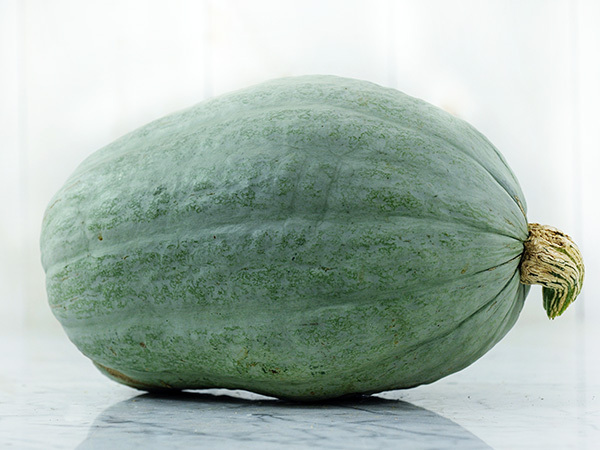 It is a large, 12-15 lb., oval-shaped fruit tapered at both ends with attractive blue-green skin and deep orange, finely textured medium-dry flesh that is very flavourful. Averages 1 - 2 fruits per plant. Variety runner. 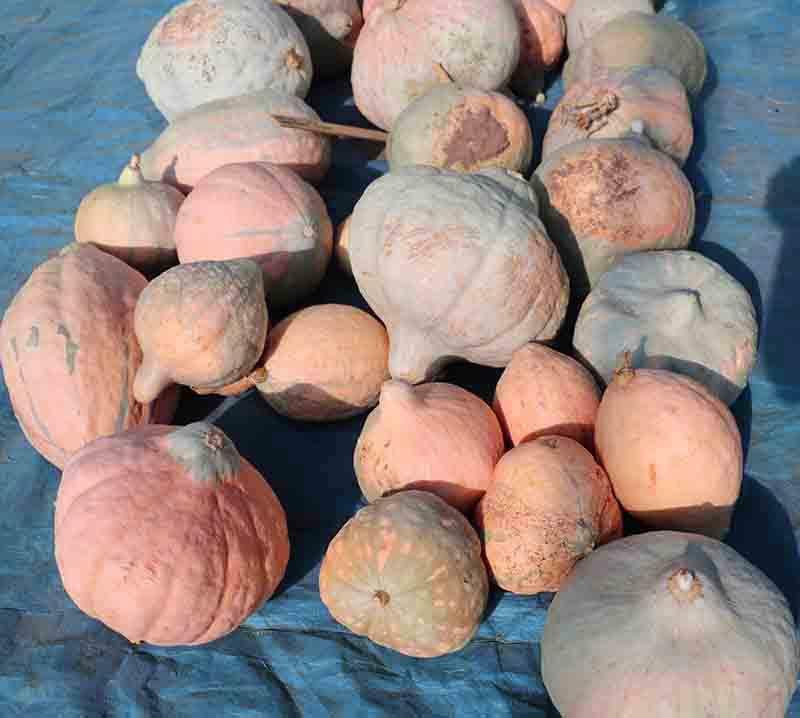 Beautiful fruits slightly ribbed, verrucous and oblong, 30 to 35 cm �. Very good storage capacity, from several months to more than a year. Growth: 100 days. Each plant produces 2 to 4 fruits. 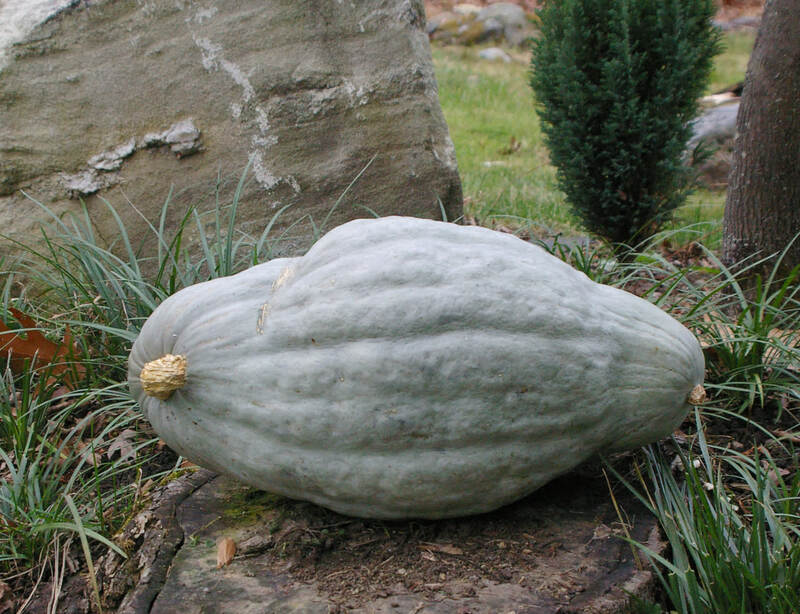 This traditional variety is native to the United States. 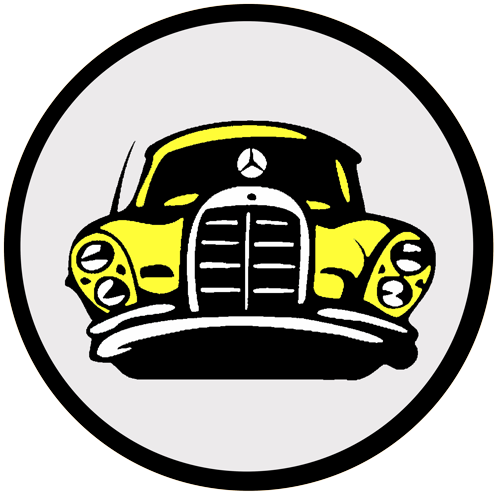 A less improved version was introduced by James Gregory of Marblehead, Massachusetts, in 1856. 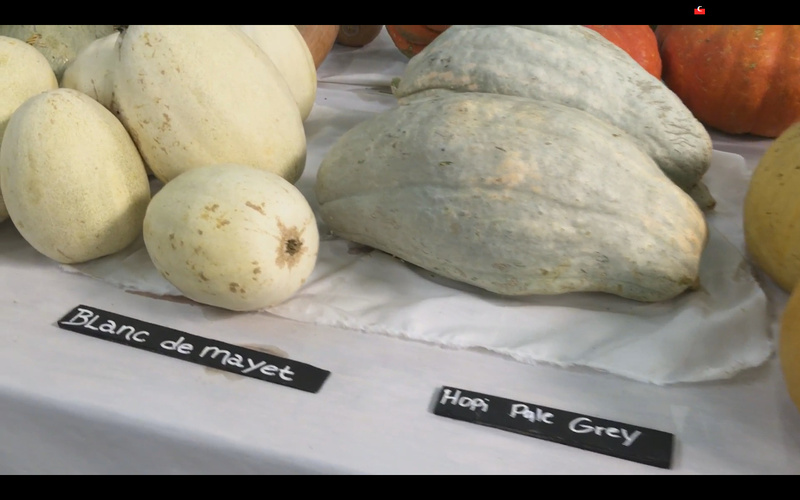 This variety has been cultivated in this region since the early 1700s. 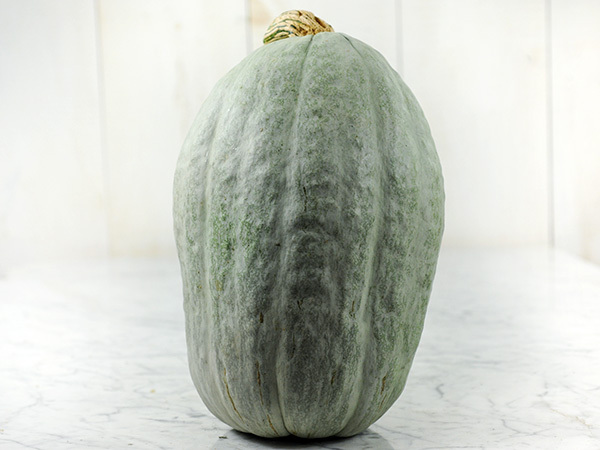 A rare, slate-gray, slightly ribbed, large Hubbard heirloom introduced in 1896 and grown by commercial growers in the Yakima Valley, Washington. 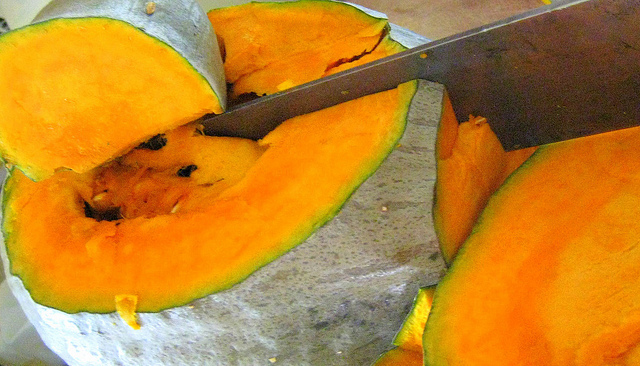 Reaching 8-25 pounds, the flesh is golden yellow and is known for its excellent flavor. They easily store around 50 F through the winter, with many storing into the spring. 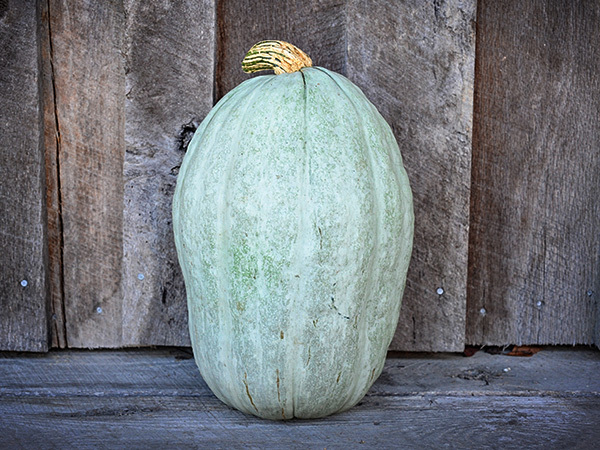 With its combination of sweetness, dryness, and a greater density than other hubbard types, this is truly a fine baking squash. After harvest they should be ripened for 30 days in a cool location. 100 days. 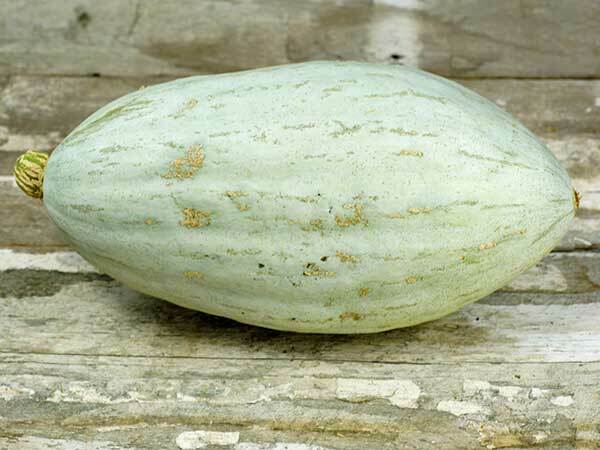 Large fruits with green-blue, gray, green, light pink, or orange skin and tasty orange flesh. 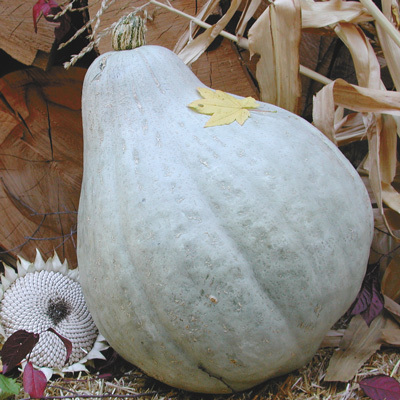 Shapes are round with pointed ends and occasional elongated fruits. 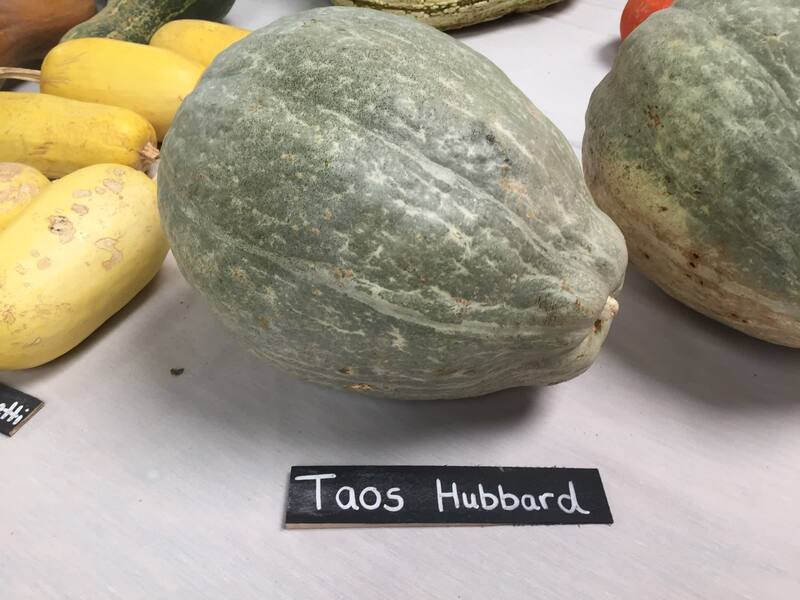 A common Hubbard across the Navajo Nation. A unique and colorful native Hopi Indian variety. The 10 lb round fruits have a very hard lovely pale gray rind, making this a great keeping variety. Orange flesh is both sweet and dry; large vines are quite vigorous. A Southwestern heirloom from the Hopi people that has nearly become extinct in recent years. A favorite for flavor. 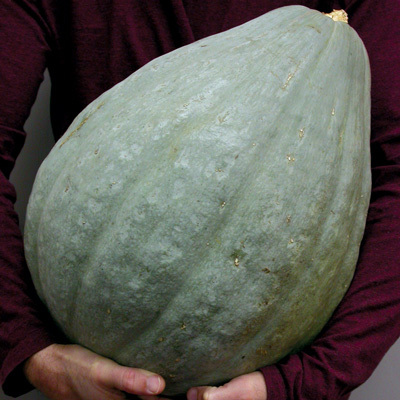 A true Northwest heirloom, developed by the old Gill Brothers Seed Company in Portland, OR. 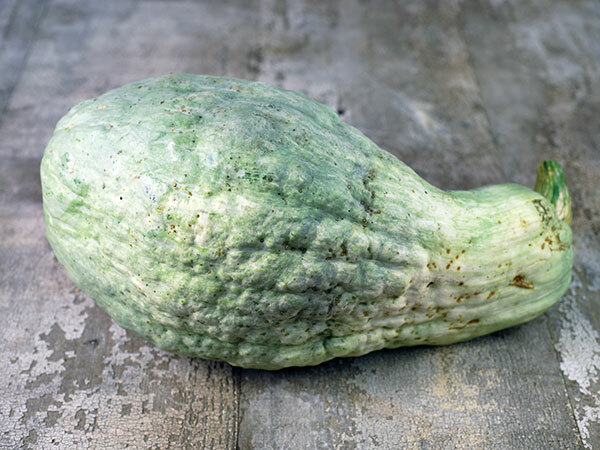 A cross between Sweet Meat and Blue Hubbard, it combines many of the best qualities of both. 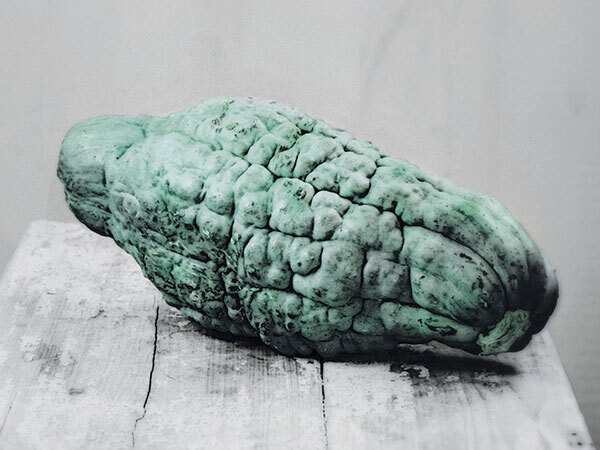 The skin is a blue-gray, and the flesh is golden and more moist than Sweet Meat. A great keeper, storing up to 1 year. 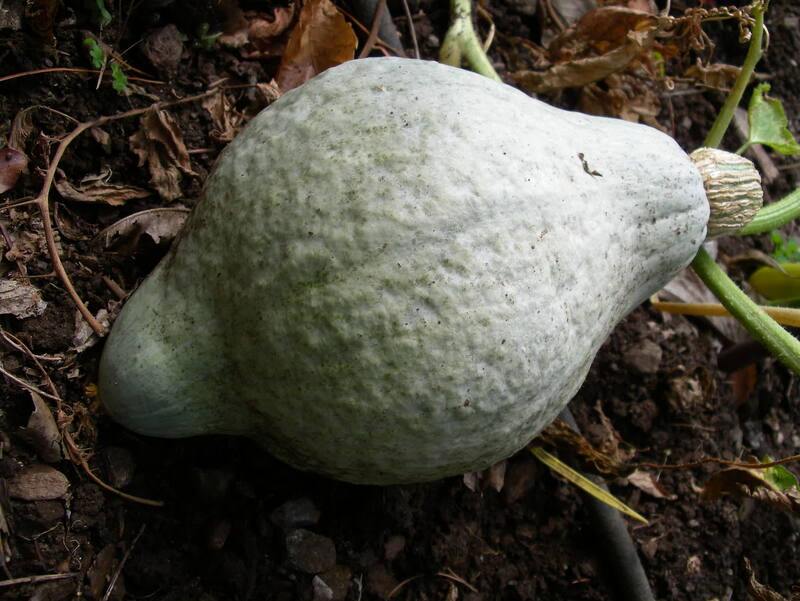 Vigorous 10 foot vines produce 4-5 squash, each weighing 15-20 pounds.